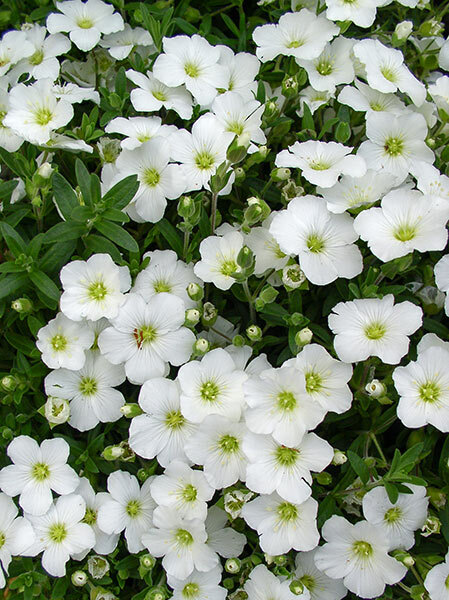 A mounding evergreen ground cover which produces masses of white cup shaped flowers from mid to late spring through to summer. Fast and easy to grow. Low maintenance and easy to grow. Select a sunny position with moist, rich soil and apply a slow release fertiliser to encourage bushy growth and profuse flowering. Care should be given to apply occasional deep watering during extended periods of heat. •Ideal for front of mixed borders. 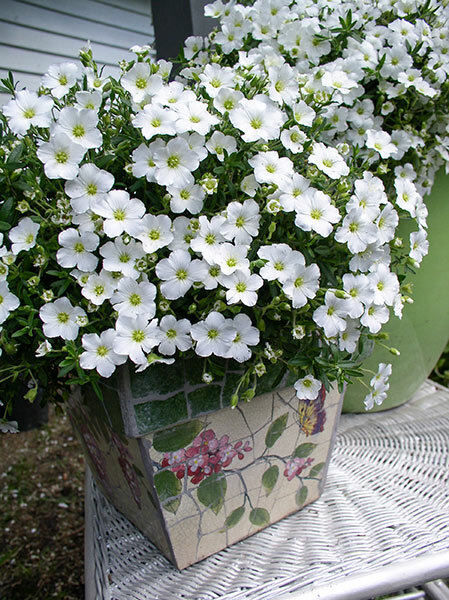 •Will cascade over rockeries or retaining walls. •Containers, small or narrow spaces. •Edging for paths, drives and other paved areas.